With all the publicity about Labour recent and genuine problems, it’s easy to forget that until comparatively recently, the Tories were in similar dire straits. Tim Bale’s provides an excellent reminder of this. Perhaps some of you disagree? Well, let’s us consider the electoral hole Labour currently finds itself in. Certainly, the loss of Scotland has been a disaster for the party and opinion polls currently offer few encouraging signs of any nationwide recovery. On the other hand, the Tories have one of their smallest parliamentary majorities since the war. In 2010, at the height of the slump, they didn’t even win a majority at all. Labour have not suffered a heavy General Election defeat since 1987, close to thirty years’ ago. Compare this to the Tories. 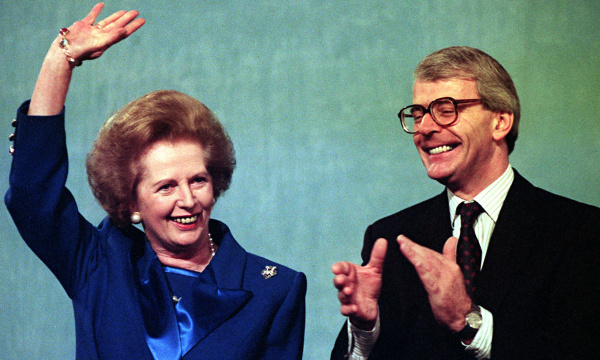 In 1990, John Major became Prime Minister inheriting virtually all of Thatcher’s majority from that same 1987 landslide, by then around a 100 with nearly 400 Tory MPs. By the time Major stood down from the leadership in 1997, the party was in opposition, many of the traditional Tory papers had turned on it and barely 160 MPs were left. The Foreign Secretary Malcolm Rifkind, the former Chancellor Norman Lamont and Defence Secretary and until that point, presumptive Tory leadership successor Michael Portillo had all lost their seats in the May 1997 Tory bloodbath. Of all the party leaders in the 20th century, only David Lloyd George presided over a similar decline.Things could only get bitter. This was not all Major’s fault. In fact, he was generally more popular than his party. Thatcher had been leading the party to certain defeat. Major probably saved them in 1992. The Tories comforted themselves with three things. One,the 1997 New Labour victory was a defeat for the Conservatives, but a victory for conservatism. This turned out not to be true. Secondly, they tried to pretend they hadn’t really lost by much. The result was a statistical fluke. This wasn’t true either. Labour had won by the second biggest margin in the percentage share of the popular vote achieved since 1945. Their majority of 179 was bigger than any achieved by Attlee or Thatcher. The Tories now had no MPs in Scotland or Wales. The result had been a calamity for them. However, after their big 1906 and 1945 defeats, the Tories had bounced back quickly. This third point was certainly true. But it didn’t happen this time. William Hague was a disaster as leader. In the 2001 election, the party made only one net gain. They then compounded their error in 1997, by rejecting more plausible candidates like Ken Clarke or the returned Portillo in favour first of the disastrous Iain Duncan Smith in 2001 and then Michael Howard in 2003! They came tantalisingly close to rejecting David Cameron in favour of the un-electable David Davis following the third substantive Tory defeat in 2005. Today Labour undeniably have leadership problems. But Tories take heed: within a decade the tables may have turned just as dramatically again. Had created the National Health Service. Had demobilised our wartime forces, secured full employment and was busy housing the nation. Had nationalised a third of British industry. Established the UK’s post-war strategic position. Had joined NATO. Had legalised homosexuality and abortion, liberalised divorce laws, abolished the death penalty, generated an education boom and created the Open University. (Elected:May 1979. In office for five years and five months by October 1984). Winning battle with trade unions. (Elected:May 1997. In office for five years and five months by October 2002). Good Friday Agreement: created a lasting peace in Northern Ireland. If, as is often said, a week is a long time in politics, then ten months must be a lifetime. 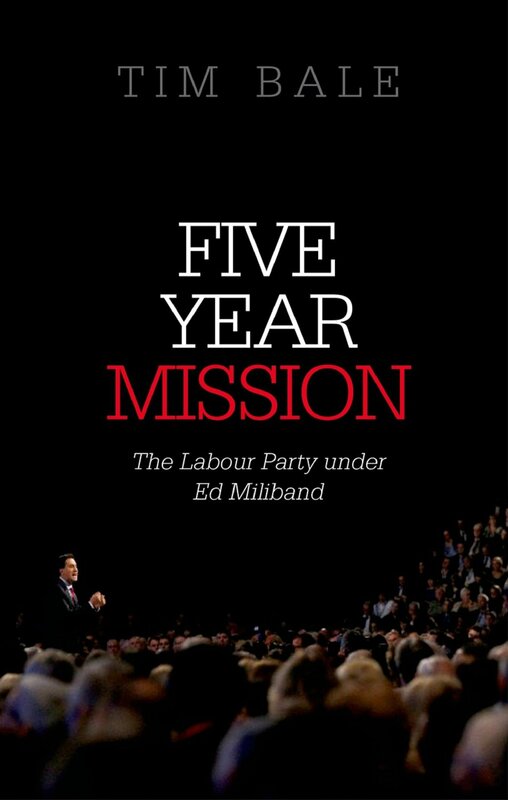 For back in November 2010, when this humorous book was published,.Ed Miiiband was not just another unshaven backbencher but a party leader widely reckoned to have a real shot at being Prime Minister. 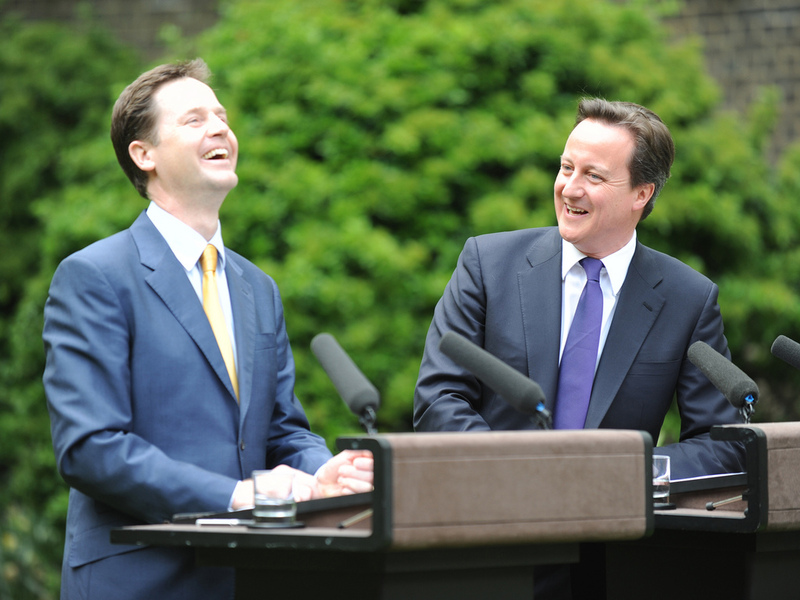 What’s more, the Tories, then in something called “a coalition” with a party, apparently the third party in Britain back then, called the Liberal Democrats, were looking quite vulnerable. Many still had high hopes for Nigel Farage and UKIP back then too. They don’t now. Fewer expected the post-referendum SNP surge to last, perhaps not even their new leader elected in that month, Nicola Sturgeon. What’s more such luminaries as Douglas Alexander, David Laws, Vince Cable, Charles Kennedy, Danny Alexander and Ed Balls were all still members of parliament. The last figure, indeed, had reasonable hopes of becoming Chancellor of the Exchequer. Jeremy Corbyn? He is not mentioned here at all. How times have changed! This is not to criticise this funny, informative and still highly enjoyable book though. Guardian writer Crace must have known this book would always have a brief shelf life but this is still well worth a read. Crace is funniest in constructing imaginary conversations between political figures and is refreshingly even handed. He is as harsh on Miliband’s automaton type ways as he is on Cameron’s gaffes (why on Earth did he appoint Andy Coulson? What on Earth was Andrew Lansley’s health care reforms supposed to be about? Why do Michael Gove and iain Duncan Smith have to exist?). 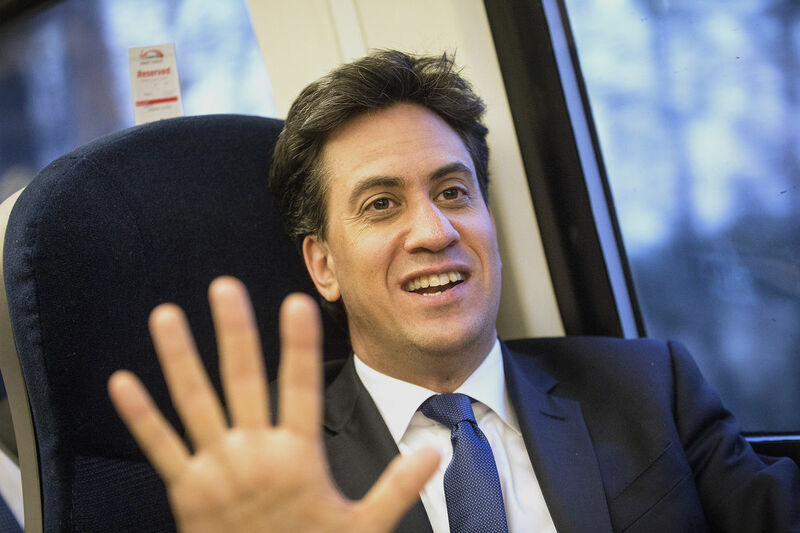 The Miliband years are never likely to be viewed with much nostalgia by Labour supporters. Thus the legend of the “wrong Miliband”” was born with David’s reputation grossly overinflated most commonly by the Tory newspapers who would undoubtedly have savaged him every day had he become leader. Nor did it seem to matter that Ed had been elected wholly legitimately, David suffering from an arrogant tendency not to take his brother seriously. The next five years would be a struggle. Ed Miliband’s spell as Opposition leader was probably the most difficult since Iain Duncan Smith’s disastrous tenure a decade before. It certainly wasn’t all bad: Ed enjoyed successes during the phone hacking scandal and in the battle of energy prices. 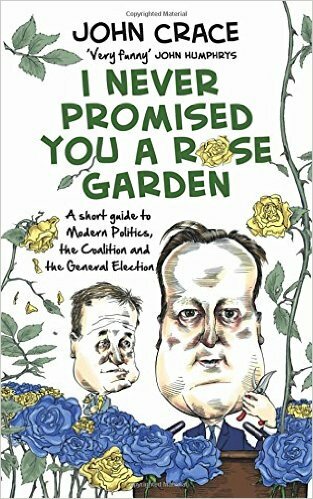 He also fought a generally good election campaign (although this book stops before then). Before the exit poll on election night, Cameron and his entourage were gloomy, almost universally anticipating some form of defeat. But Miliband undoubtedly failed to convince the public he was up to the job of national leadership. This was partly the fault of the hostile media but he must take a fair amount of the blame for this failure himself. “…it is certainly true that Brown, with the help of his Chancellor, Alistair Darling, actually handled the truly terrifying possibilities thrown up by the global financial meltdown as well as – maybe even better than – any other world leader”. But Miliband, keen to distance himself from the past allowed the reputation of one of the most successful governments since the war to be wrecked. The Labour Party will live with the consequences of this for some time to come. 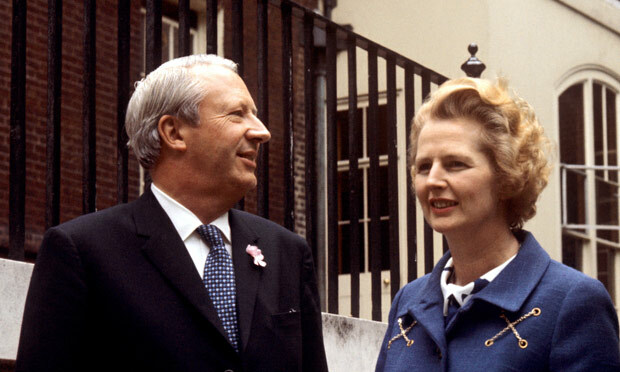 1963: Tory Prime Minister Harold Macmillan resigns on the eve of the party conference. The resulting chaos convinces most that the “magic circle” process of consultation needs to be replaced by an election of MPs. Macmillan’s successor Alec Douglas-Home resigns as Tory leader after losing the 1964 General Election and begins devising the mechanism for the first Conservative leadership contest to be held amongst MPs. 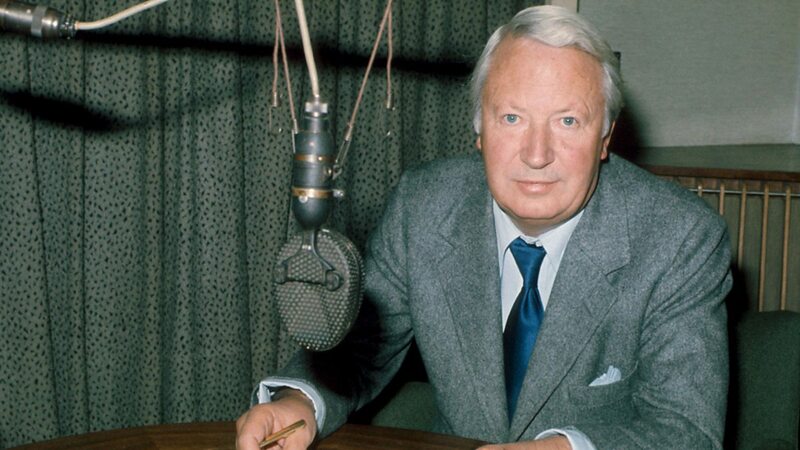 Edward Heath beats the favourite, former Chancellor, Reginald Maudling to win the leadership. Enoch Powell comes third. The right choice? : Probably. Heath at least won the 1970 General Election. ‘Reggie’ Maudling ultimately fell foul of his business connections and resigned as Home Secretary. Powell with his inflammatory 1968 ‘Rivers of Blood’ speech (and his 1974 pre-election decision to urge voters to support Labour) proved ill-suited to frontbench politics. Former Education Secretary Margaret Thatcher unexpectedly deposes Heath (now back in Opposition) and proceeds to beat Geoffrey Howe, Willie Whitelaw, Jim Prior, Hugh Fraser and John Peyton for the top job. Heath descends into “the incredible sulk” for the next thirty years. The right choice? : Undoubtedly. Whatever else she may have been, Thatcher was a boon to the Tory party, ultimately delivering them three landslide election victories. This wasn’t obvious in 1975, however, and Heath’s popularity with the public continued to outstrip hers until the early Eighties. Unknown pro-European back-bencher Sir Anthony Meyer (dubbed “Sir Nobody” by the press) mounts a “stalking horse” challenge to Prime Minister Thatcher’s leadership. He loses, but the number of abstentions is high, a fact largely overlooked at the time. The right choice? : Could the brutality of Thatcher’s departure have been averted had she gone a year earlier? Who knows? In a hugely dramatic coup, Margaret Thatcher is challenged by her former defence secretary, Michael Heseltine. She technically wins but not by a wide enough margin and reluctantly resigns. 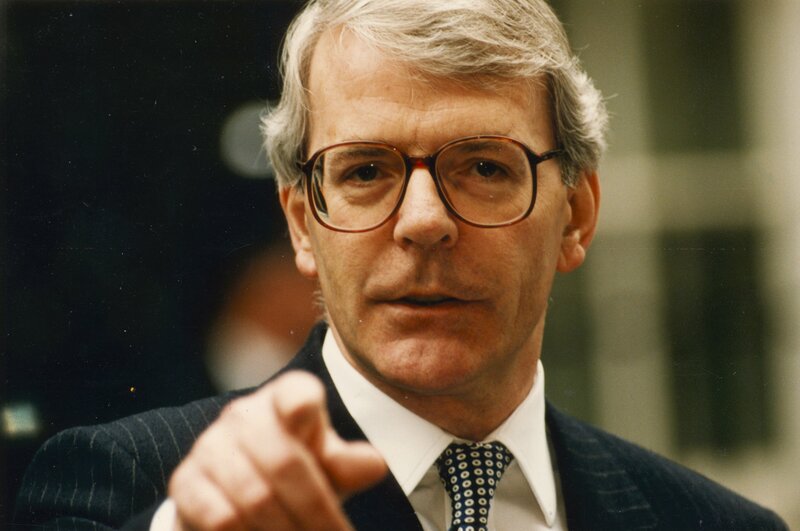 Little-known Chancellor John Major beats Heseltine and Foreign Secretary Douglas “too posh” Hurd in the second round. The right choice? : In the short run, yes. 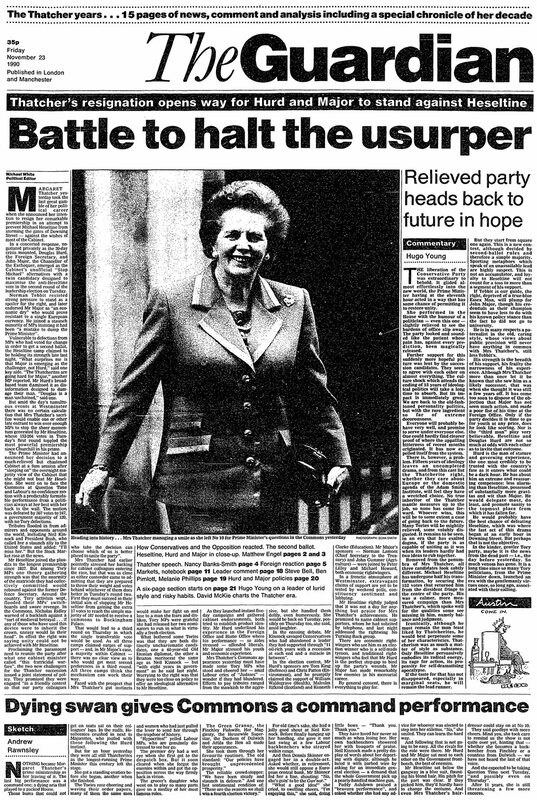 Major replacing Thatcher saved the Tories from certain defeat in 1992. In the long run? Perhaps not. Thatcher – a woman with no interests outside politics – became a perpetual thorn in Major’s side and the scars of the contest took many years to heal. By now perpetually embattled PM Major pre-empts ongoing leadership controversy by resigning as leader and inviting people to “put up or shut up” and challenge him. He defeats former Welsh secretary John Redwood but only narrowly beats the own private target set by himself below which he would have resigned. Bigger guns Ken Clarke, Michael Portillo and Heseltine again, thus do not enter the contest, as might have been expected otherwise. The right choice? : It seems doubtful anyone could have saved the Tories from electoral disaster in 1997 by that stage. Little-known 36-year old former Welsh secretary William Hague beats Clarke, Peter Lilley, Redwood and Michael “something of the night about him” Howard after the party’s devastating election defeat. 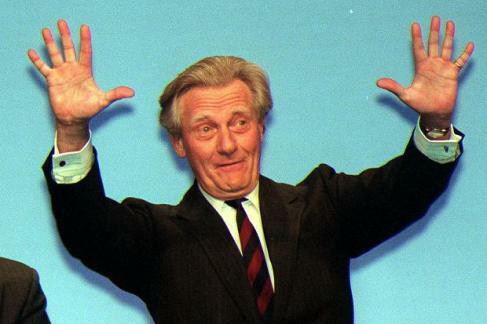 Heseltine’s heart condition rules him out. Portillo famously loses his seat, preventing him from participating in the contest. The right choice? : Probably not. Hague proved an inexperienced and inadequate leader. Voters would have preferred the more effective and experienced Ken Clarke. 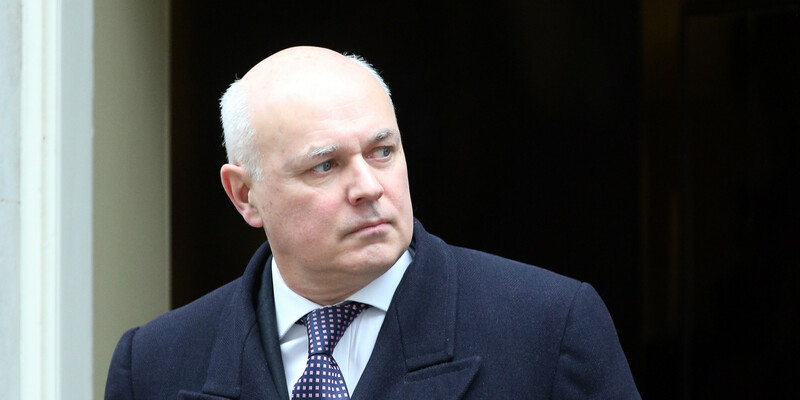 Iain Duncan Smith beats Clarke in a ballot of party members. Michaels Portillo (now back in parliament) and Ancram all lost out early on in a ballot of MPs as did David Davis. The right choice? : Definitely not. IDS was a disaster as leader and was deposed in favour of an un-elected Michael Howard in 2003. Any of the other candidates would have been better. Clarke’s election as Tory leader might also have prevented UK involvement in the Iraq War after 2003. 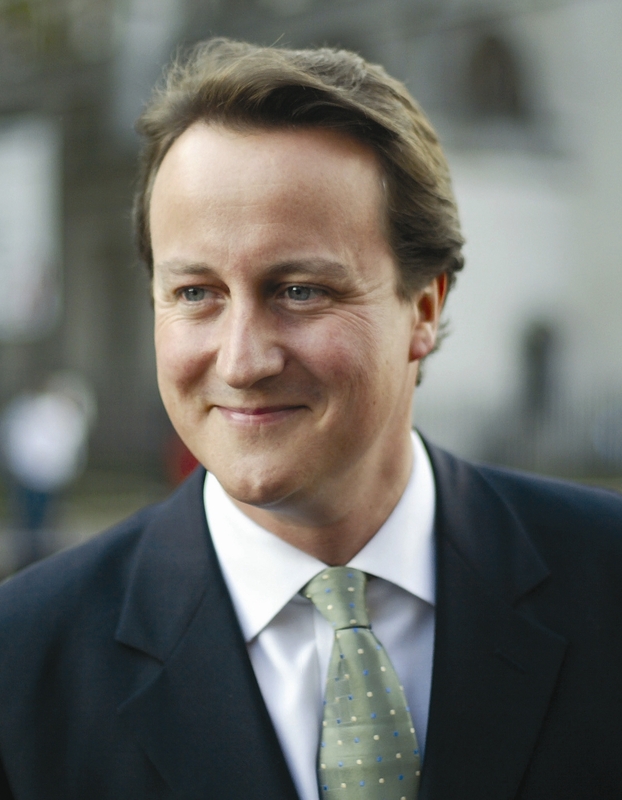 In the year of Ted Heath’s death, David Cameron beats David Davis for the leadership. Liam Fox and an ageing Clarke lose out early on. The right choice? : Probably, yes. 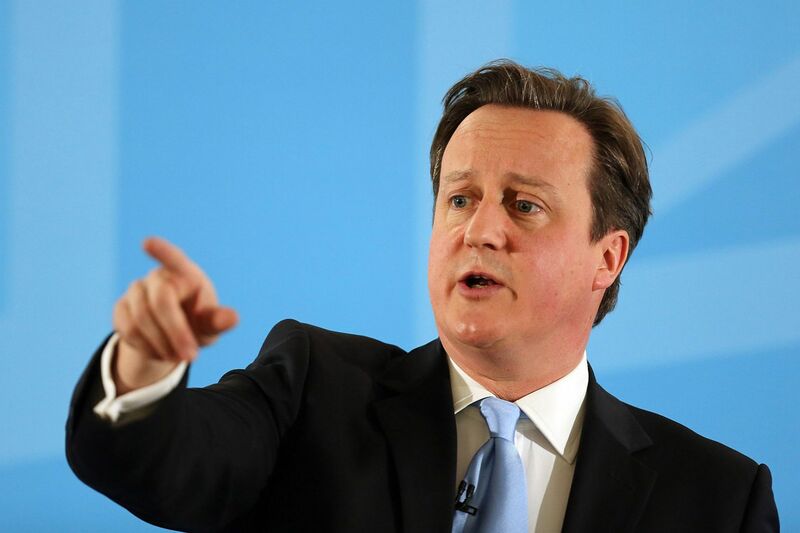 Cameron finally delivered victory this year. their smallest post-war majority, yes. But a win is a win.